During my growing years whenever I used to watch sci-fi movies, I always wished how I could jump off the building, catch a running bus, rescue people in trouble etc, like the superheroes on screen. Though it was my childhood thoughts, but grew-up with a desire to fulfil them in my life. Recently I was narrating this story to one of my friend, he said it is possible. I just shrugged him off thinking he is pulling my leg. Later he took me to a VR live event, as being a technology geek he gets to attend such shows. My expression after seeing those VR displays was WOW. In real sense, VR was nothing but a dream come true of me. Now my heart said you can fulfil your childhood dreams. There has been many companies trying, succeeding or failing in bringing imaginary thoughts to reality. Although in this era Virtual Reality may feel like a latest innovation, the technology has been in use for many decades. Besides the early adopters in gaming and tourism, VR has been used for a wide variety of applications, right from medicine to marketing, flight simulation and training etc. With the rapid advancements in VR and with the rise of smart phones, many companies such as Google, Samsung, and Microsoft have started developing their own VR devices. These are basically created to offer the user a larger than life digital experience and interact in a simulated environment. The virtual reality (VR) market is expected to grow from USD 7.9 billion in 2018 to USD 44.7 billion by 2024, at a CAGR of 33.47% during the forecast period. 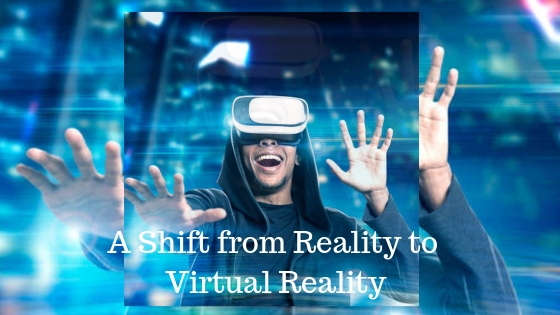 The huge investments in the VR market, advancement of technology and growing digitization, and availability of affordable VR devices are the major factors fueling the growth of the overall market. However, display latency and energy consumption is affecting the overall performance of VR devices and health concerns relating to low resolution and lack of movement might restrain the overall growth of the market. The fully immersive technology-based VR devices enable users to feel the virtual environment in a realistic way. Head-mounted displays (HMD) or virtual reality goggles offer a fully immersive virtual reality environment. The realistic and interactive real-time environment offered by these devices make them ideal for gaming and entertainment. The increased use of fully immersive technology in the HMDs will drive this technology in the VR market. Recently the VR content creation has witnessed a high growth owing to the high demand, which will boost the VR software market growth in the next 5 years. The cloud based services for VR will play a crucial role, wherein the technology is set to be a disruptive form of immersive multimedia, right from changes to the delivery of new content to the application of different services. Also growing consumer and commercial demand with increasing investments up to a total value of $120 billion by 2020 in countries such as North America, China, Japan and India would boost the growth of the VR market in APAC. Virtual reality has a long way to go before the technology is accepted globally. VR presents users with the extraordinary opportunity to immerse themselves in an entirely new world. Although it may take some time for the buyers to adopt this technology, we can see it growing in popularity. The future is happening and VR is here to stay. After all, who would not like to break from reality and live the imaginary world? To check for more lucrative opportunities and technological advancements on the VR industry, refer to the report on Virtual Reality Market.